This is an Interactive exhibit with Encaustic and Acrylic Paintings, Photographs, Topo-maps, Guides and a Discovery Table. 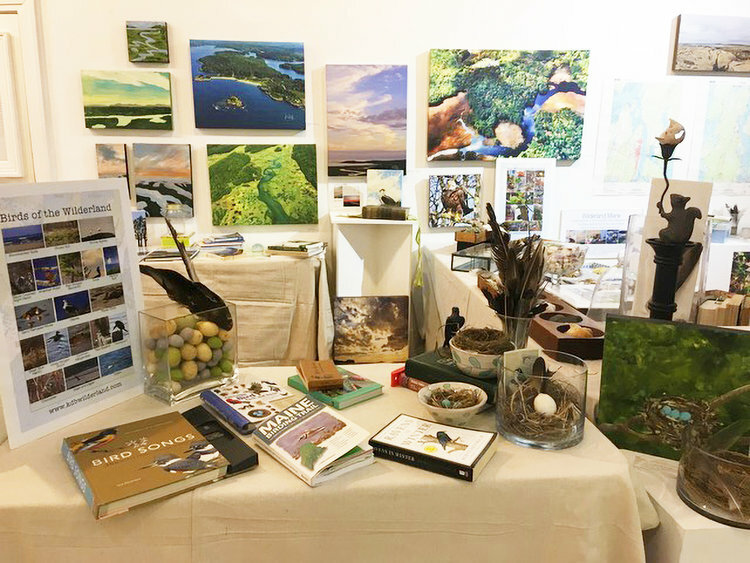 The Wilderland and its treasures will be displayed within the gallery for visitors to explore as the artist will set up a temporary ART Studio at this Exhibit/Experience. She will be painting birds and working on illustrations for her “Eye Spy Nature Series. The Wilderland Exhibit is an interactive experience which has been developed by local Maine artist and photographer, Kdb Dominguez during a four-year, all-season commitment of engagement within the Kennebec River Watershed, 10 nautical miles, from Merrymeeting Bay to Seguin Island Lighthouse.